Dom Prosper GuÍ©ranger (1805-1875) devoted himself to liturgical scholarship, polemics, and the establishment of Benedictine communities in France. 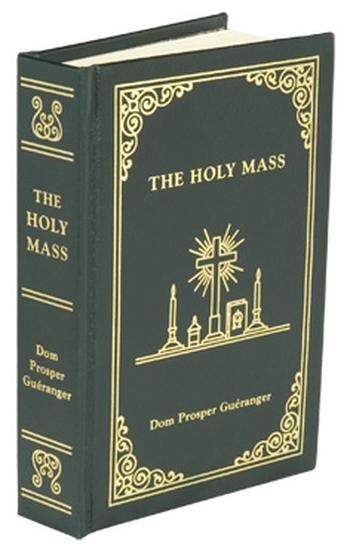 The Holy Mass is GuÍ©rangerÿÙŽs most extensive treatment of the heart of the liturgy and firmly established him as a leading liturgist. By turns devotional, exegetical and historical, this is therefore a timely publication of one of the great treasures of Catholic liturgical spirituality. Size - 4" x 6". Hardbound (dark green real leather) with silk ribbon marker.